Alderson Family Award recipient – striking his signature pose as The Ashman. (Photo: Brenton Sloane). Andrew Ashman was simply born to entertain. The Woden School’s Year 12 student is enthusiastic about his love of DJing, engaging audiences with his dancing and passion from behind the decks. 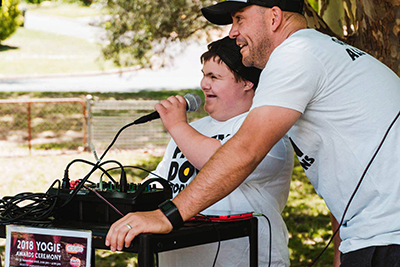 Andrew, an integral part of The Woden School’s Party Down Productions team, brings music with him wherever he goes. As his DJing persona ‘The Ashman’, he has hosted countless discos and events for his peers at school. The Ashman is also branching out, lending his DJ expertise to several recent events outside of the school setting, including the ACT Youth Coalition and the Special Olympics annual awards ceremonies. 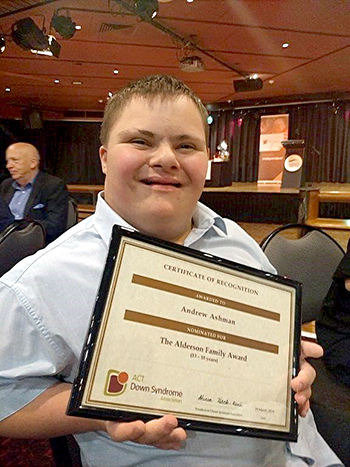 On Friday, Andrew received an ACT Down Syndrome Association 2019 Alderson Family Award for his entertainment work with his community. “It’s nice. It’s exciting,” Andrew said of receiving the award. Executive Teacher at The Woden School Jake Naylor says Andrew has made significant progress in developing his communication skills and his confidence through his music. “Andrew can manage these events himself and through his DJing has worked to build relationships with people outside of the school community,” Mr Naylor said. Anyone who has seen Andrew perform knows that this is his passion. When asked if he wants to continue DJing after he finishes school, Andrew smiled heartily, nodded and struck his signature ‘The Ashman’ pose. 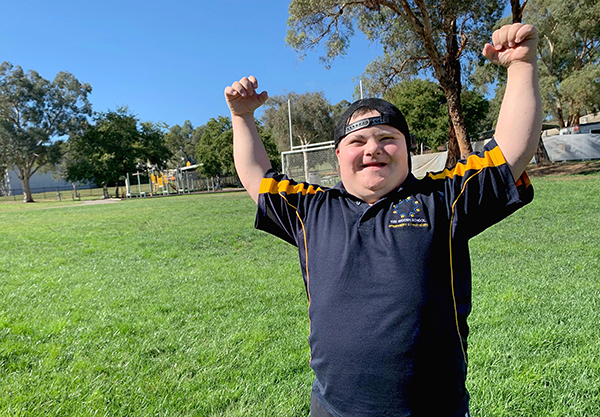 The ACT Down Syndrome Association aims to improve the quality of life for people with Down Syndrome, providing support and information to families and increasing awareness of the abilities and needs of people with Down Syndrome. For more information on the ACTDSA visit here. on Friday night at the Southern Cross Club. Well done Andrew!